This one is for those days when you know you really need to shampoo your hair but you gotta stick it out a couple more days.. I only wash my hair every 4 or 5 days to keep it healthier and prolong my color, so on that fifth day my hair is looking prettttty greasy. 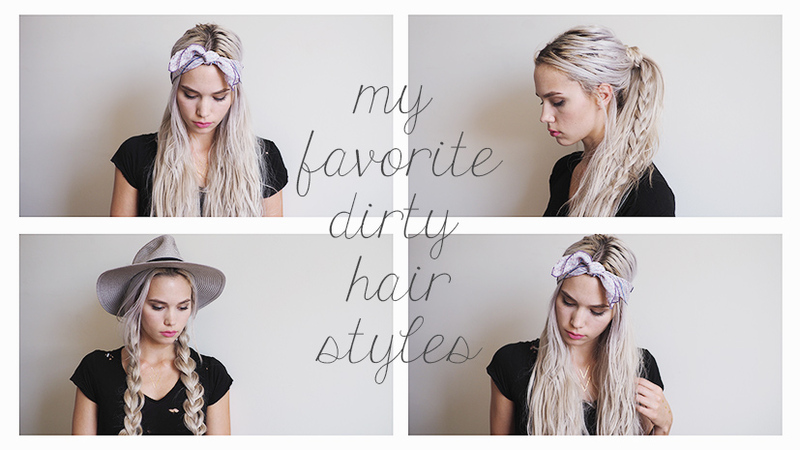 These are some of my favorites when my hair is looking dirty! I also use dry shampoo religiously but forgot to put that in the video!